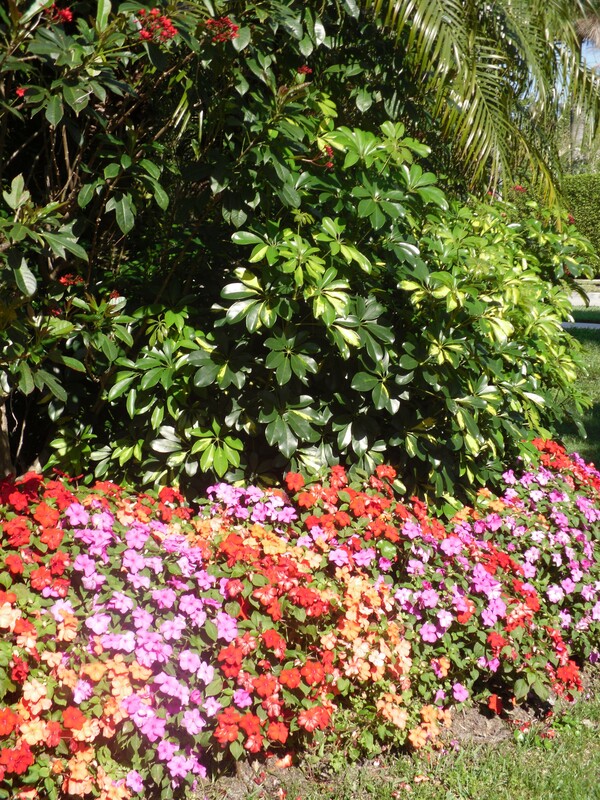 This Northern gardener is spending some time in Florida, researching the lively and fun use of impatiens and the foundation landscapes using what we northerners think of as houseplants. Impatiens (Latin for impatient) could be the state flower of Florida. Impatiens love water. I mean they LOVE it. They must have it. Or they die. They are the classic shade bedding plant, but if they get ample and steady doses of H2O, they will take a lot of sun just fine. One sees this done considerably in South Florida. One also sees the kicky pairing of pink and orange. Pink and orange is the new black in plant colors, particularly along 5th Avenue in Old Naples. It’s a magical mix and and seriously lifts one’s spirits. One also sees it done with geraniums and this is a particularly happy pairing. If your impatiens and geranium selections are getting a little dullsville, how about pink and orange in your containers this year? Thinking it’s a little too Disney for your taste? In a dark planter, the effect will be classic. And speaking of geraniums, coming out of the long cold Minnesota winter, I have been happy to see a lot of folks overwintering geraniums, to great effect, indoors. Loads of sun is the key. Two of my favorite geranium spottings have been in rather unlikely places: a barber shop and a car dealership. 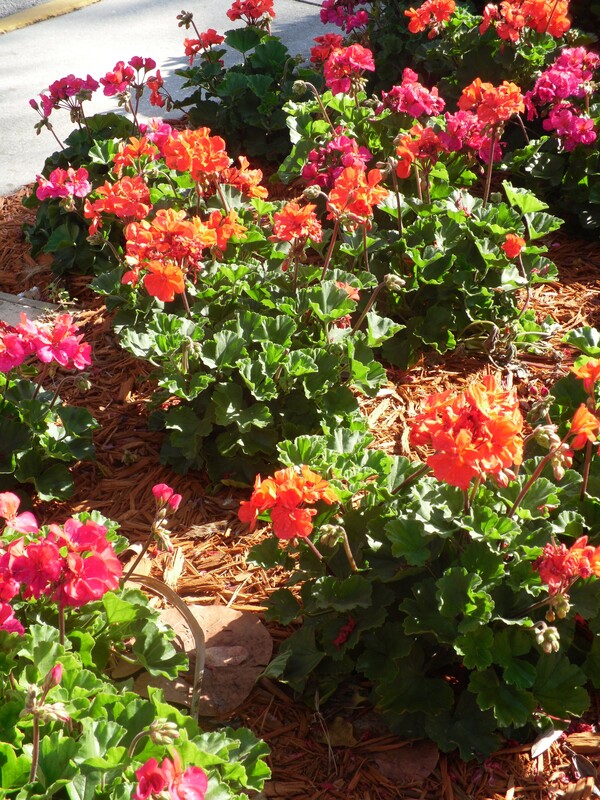 Perhaps, like raising dahlias and growing tomatoes, overwintering geraniums is a favorite task of the male gardener.